The Nutribullet is a blender. You “eat” everything you put in it. It only saves you the chore of chewing. You still need to digest everything in it. If you blend up an apple, you will need to digest that apple in total. On the other hand, Juicing extracts the water content from its vegetables. You are only drinking water which contains the nutrients from several vegetables whose volume you could never consume whether chewed or blended. So, juices are much more nutrient dense and require no digestive effort because they are essentially water. You get more concentrated nourishment from juices and it is all better and more efficiently assimilated into your blood. 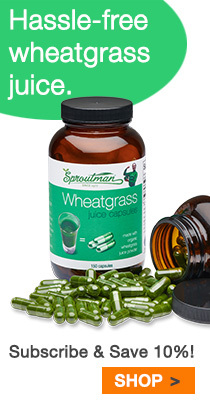 Next Next post: Dr. Wheatgrass Healed My Carcinoma!